And now for something completely different from Crown Royal — no, not another flavored whiskey — it’s Crown Royal’s first ever single barrel expression, straight from the cask! The catch: It will only be on sale in Texas (and only through retailers who sign up to buy a full barrel of the stuff). Off-the-rack Crown Royal is a blend of lots of different whiskeys, so expect Single Barrel Crown Royal to be a different animal. What we have here is a bottling of just one of the whiskeys that go into Crown. The whisky is distilled in Crown’s Coffey Rye still in Gimli, Manitoba using a mash of 64% corn, 31.5% rye, and 4.5% malted barley. The spirit is aged in new oak, though no age statement is offered. Note that individual bottles are not labeled with a barrel code, so if you’re a collector, you’ll need to keep track of where you got each bottle on your own. My sample bottle did not include the neck ringer seen in the photo. This is a considerably different whisky than your dad’s (granddad’s?) Crown, which tends to be driven more by the baking spice than the sugary notes. In this Hand Selected Barrel, big butterscotch on the nose duels with tropical fruit, bananas, and some cinnamon oatmeal character, making for a surprisingly sweet entry point. The body doesn’t stray far. Pure spun sugar hits the palate first, lingering on the tongue for a long while. Some more subtly grain-driven notes — think Sunday buckwheat pancakes, plus syrup — come along after, dusting the spirit with more cinnamon, ginger, browned butter, and powdered sugar. The finish is punchy and racy — at barrel proof it’s much stronger than other CR expressions — but warming and quite soothing. Whisky fans looking for the big wood notes that are often implied by “single barrel” won’t find them here. 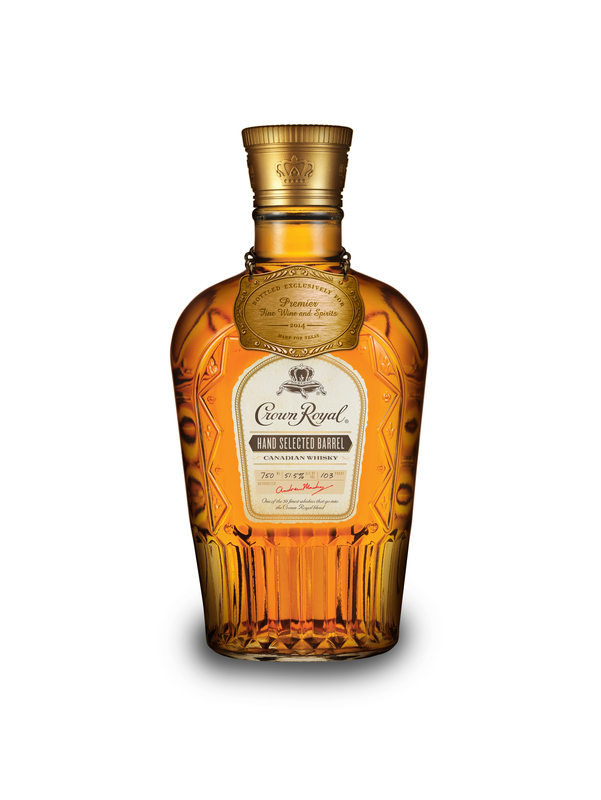 Crown has pulled this whisky from the cask at the height of its ripeness. It isn’t the most complex Crown Royal I’ve tried, but damn if it isn’t fun to drink. Finally, the good stuff. This is the best stuff that Crown royal produces. It might be 103 Proof, but it tastes so darn good either straight or mixed with your favorite cola or seven up. Picked this up on a whim on sale at the local liquor store. Surprisingly good and easy drinking neat. Love this and may grab another bottle. Were retailers allowed to pick which barrel they would get from Crown Royal or just given a barrel in the program? I just cracked open a bottle that was bottled for ABC liquors in Alabama. My taste buds,do detect strong smokey oak taste. But this id a different barrel. Just picked up a bottle of this in North Carolina, bottled exclusively for Wake County (where the state capital of Raleigh is located). Haven’t tasted yet, but it has a very flavorful aroma and a lighter color than the Deluxe. This is a great easy drinking whiskey. I may be a little sweet for some, but the sweet of this whiskey is so well balanced that I’m sure most would like it. A novice introduce to whiskey via this one is sure to like it or none at all. I picked up a second bottle after trying the first with friends. The bottle I purchased was bottle for a liquor store in Louisiana. Only available in Texas….and Hilo Hawaii! Just heard on the radio that a small liquor store in my local town Hilo managed to get ahold of the single barrel crown. We’ve got it in Georgia. It’s my new fave.